The French-Indian SARAL/AltiKa altimetry mission is scheduled to launch 25 February from the Satish Dhawan Space Centre in southern India. Its goal is to enable closer monitoring of sea-surface height from space. How altimetry works: the satellite measures the return-trip time of a radar signal bounced off Earth’s surface. Credits: CNES. 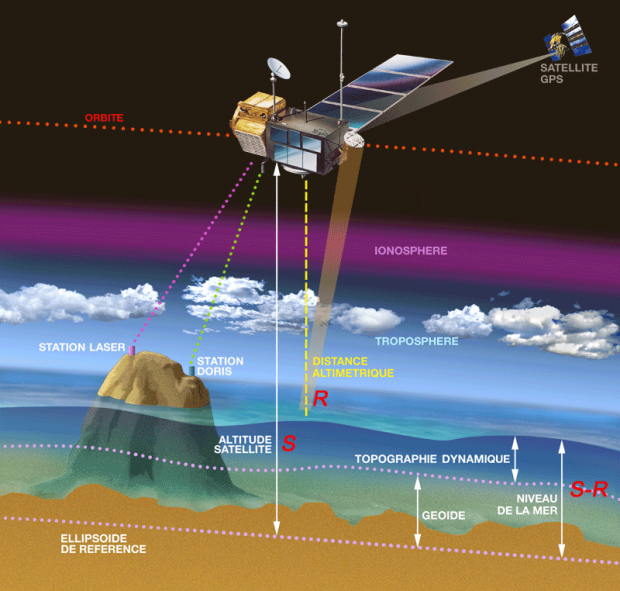 Satellite radar altimetry is a technique used in oceanography to measure global sea-surface height, a key parameter for understanding ocean circulation and its variations. For the first time ever, the AltiKa radar, developed by CNES, is set to acquire satellite altimetry data operating in Ka band (35.75 GHz, 500 MHz). At this higher frequency, the instrument should be unaffected by ionospheric perturbations while also affording better spatial and vertical resolution—in short, a more compact instrument capable of more-accurate measurements than its predecessors. The mission’s ultimate goal is to improve observation of ice, coastal zones and continental waters. 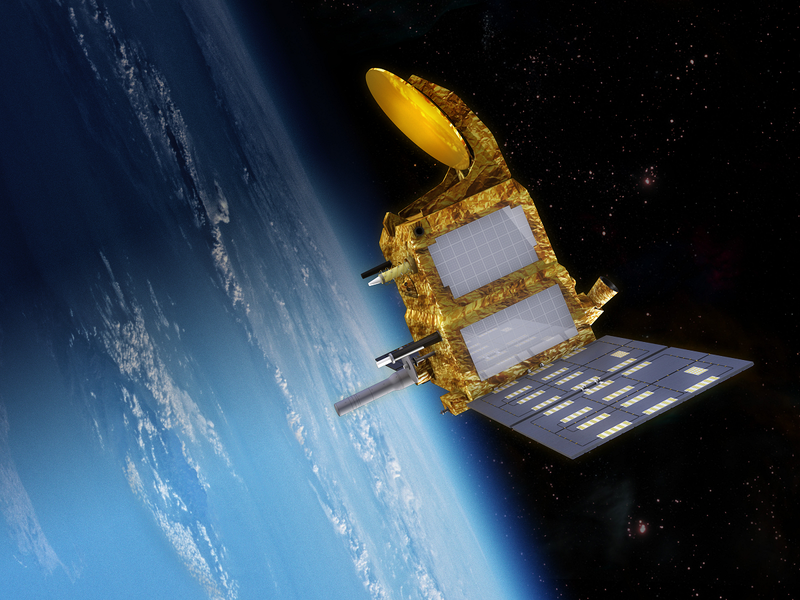 Combined with measurements from the Jason-2 satellite, AltiKa data will thus continue the service previously performed by Jason-1 and Envisat. The SARAL satellite will operate in an 800-km orbit. Credits: CNES. The SARAL satellite, supplied by the Indian space agency ISRO, will also carry the Argos-3 instrument. Much like AltiKa, Argos-3 is designed to encourage the use of space remote-sensing data for environmental research. SARAL is scheduled to lift off atop an Indian PSLV-C20 launcher from the Satish Dhawan Space Centre on 25 February at 17:26 local time, 13:26 CET. It will be placed in the same orbit as Envisat, at an altitude of 800 km, to provide long-term continuity of altimetry observations.